After losing almost all their members the Tobita Crush Gear club is facing extinction. Kouya who dreams of being a Crush Gear Fighting Champion doesn't want to see the club become extinct and will do whatever he can to keep the club running and become a Cush Gear Champion. Watch Gekitou! 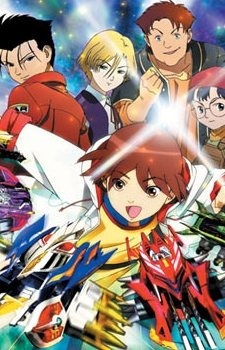 Crush Gear Turbo Episodes Online at Animegg.org. Gekitou! Crush Gear Turbo is available in High Definition only through Animegg.org. Choose an episode below and start watching Gekitou! Crush Gear Turbo in Subbed & Dubbed HD now.